On Sunday, April 28th, the Lehigh Valley Road Runners will hold The St. Luke’s Half Marathon & 5K at 8:00 am, at the corner of 18th & Linden Streets, just beyond William Allen High School. For the safety of race participants, traffic will be stopped at certain intersections at various times during the race. Volunteer road guards and members of the Allentown Police Department will be responsible for traffic control and will make every effort to keep traffic moving. Normal traffic flow will resume as soon as possible. It is suggested you allow a few extra minutes if you are traveling to a destination in the vicinity of the race course during the time the race is in progress. 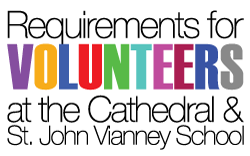 Please note requests for specific dates and times will only be handled by the parish secretary or office volunteer. 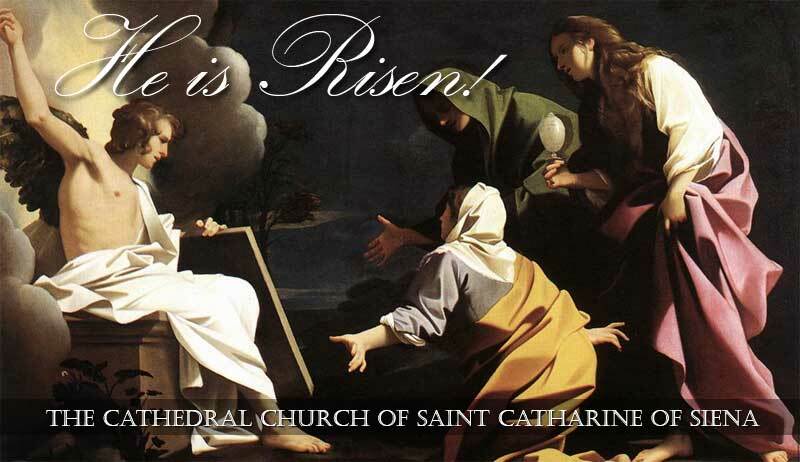 No Masses will be scheduled until the Mass Book Opening on April 25th. No phone requests will be taken unless there is an extraordinary circumstance. We are not permitted to accept more than one intention per Mass. This is a regulation of Church Law. One Mass each Sunday will be reserved for those who pass in 2020. The Memorial Fund and Siena Society Mass is scheduled for 9 AM on the first Sunday of each month. The maximum amount of requests for Sunday Masses which includes the Saturday 4:15 PM Mass will be three (3) per intention per year. The number of weekday Intentions will continue to be up to 5 Mass Intentions per visit (per week), but never two of the same intention in the same week. These regulations will apply to all requests, which include, but not limited to-living, deceased, wedding anniversaries, etc. Masses will be assigned at the time the offering is received. 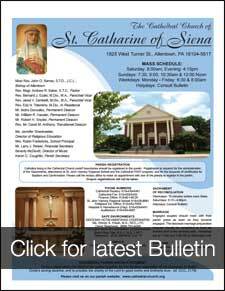 A $10 offering for each Mass can be made in cash or a check made payable to St. Catharine of Siena. First Sunday of every month. Preparatory class Thursday evening before. Engaged couples should meet with their parish priest as soon as they become engaged. 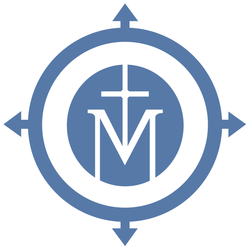 The diocesan marriage preparation program should be completed at least six months prior to the wedding date. Weddings are at 11 AM and 1:30 PM on Saturdays only. Catholics living in the Cathedral Church parish boundaries should be registered in the parish. Registration is required for the administration of the Sacraments, attendance at St. John Vianney Regional School and the Cathedral PREP program, and for the issuance of certificates for Baptism and Confirmation. Please call the rectory office to make an appointment with one of the priests to register in the parish. Traveling & Need Mass Times?